This is the Western Robotics GlitchBuster Opto-Isolator. 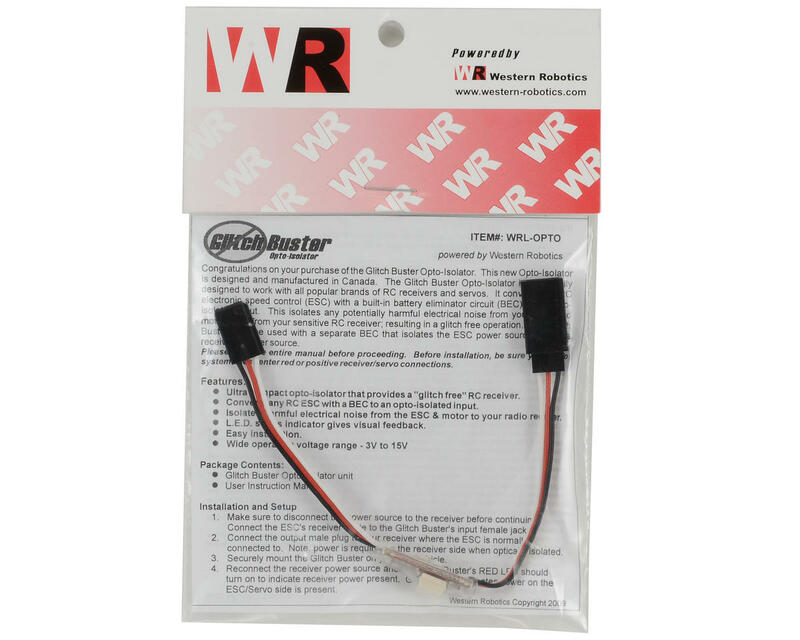 The GlitchBuster Opto-Isolator is designed to work with all popular brands of R/C receivers and servos. It converts any R/C electronic speed control (ESC) with a built-in battery eliminator circuit (BEC) to an opto-isolated input. 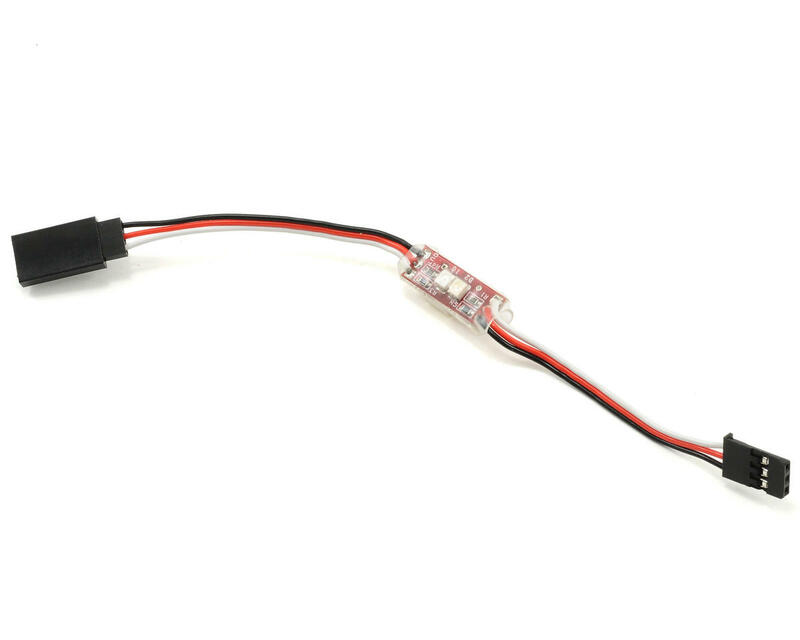 This isolates any potentially harmful electrical noise from your ESC and motor away from your sensitive R/C receiver; resulting in a glitch free operation. The Glitch Buster is to be used with a separate battery pack/BEC that isolates the ESC power source from the receiver's power source. It is also equipped with male and female plugs for easy installation.